By Bola Sokunbi. Published on February 24, 2016. I get asked quite often if it's worth spending a lot of money on beauty and hair products and my answer is usually "it depends". I always use myself as an example because I've been a product junkie in the past and through trial and a lot of error, I've finally been able to figure out which types of products are worth the splurge and which ones aren't (for me). Below is my take on things! Most of the best-reviewed face washes are all drugstore brands so why spend $50 dollars when you can find a perfectly effective product and sometimes even all natural/organic for under $10. I feel the same about body lotions as I do about face washes plus natural products like shea butter and coconut oil work wonders and are super affordable too. Rarely do lipsticks or lip glosses last all day regardless of how expensive they cost. Brands like Nars, MAC, Revlon, and L'oreal are perfectly fine. When it comes to Chanel, Tom Ford, and other more expensive lipsticks brands, outside of perhaps having a broader color range, you are honestly really paying for brand and packaging. These again are a save for me. I feel its more important to understand your hair type and hair needs as well as the ingredients in your shampoos and conditioners this way you can figure out what works best for you. There are so many affordable and well-reviewed hair products out there it's not worth the splurge. Finding a good face moisturizer with quality ingredients and an SPF shouldn't cost you an arm and a leg. You could spend a bit more on a quality night cream because your skin does it best repair overnight while you sleep. For me, this is a splurge especially since it goes around the most delicate part of my face! My favorite eye cream comes from Shiseido and I definitely see a major difference the next day compared to other eye creams I've used. Face serums go underneath your face moisturizer and penetrate deeper than regular moisturizers to deliver concentrated active ingredients to your skin and help with aging, hydration, blemishes etc. Many come with a hefty price tag but many also come with a reasonable price tag but the good ones are still not cheap. The good news? They last quite a long time! Do your research to find if you need one, and what works best for your skin type. 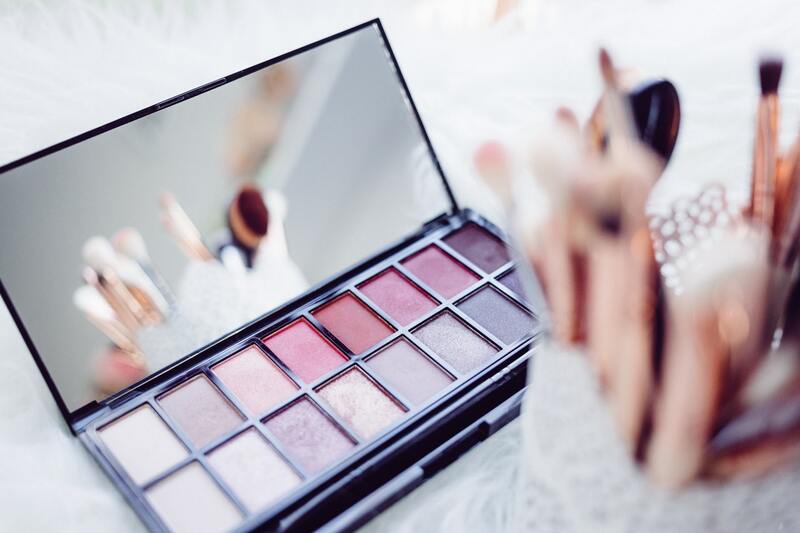 You want your eyeshadow to last all day long without creasing or smudging so it's definitely worth the splurge for a good brand. Save by buying a palette of multiple colors. For me, this is a no-brainer and a definite splurge for me. I'm all about volume and length and the drugstore brands just don't cut it for me. Foundations are worth the splurge from a good brand because you want it to match your skin tone perfectly and last all day without looking cakey or oily. If heat is involved then you want to use quality styling tools i.e. flat irons, blow dryers etc. Two popular and very well reviewed brands are CHI and GHD. Because who wants to smell like cheap perfume? enough said! Still figuring out what products work best for you? It's all about trial, when it comes to selecting your beauty products but you can save money by asking for samples at the department stores - and they'll give you plenty of samples. Collect a few and try them out before you spend your hard earned money on products you don't like, don't work or won't use.